Ever wondered what it takes to hack your way up nearly 40ft of vertical ice? Well now is your chance! The Ice Factor indoor ice climbing wall is the ideal environment for practising, training and learning all aspects of ice climbing. Our instructors have probably taught more people to ice climb than any organisation on the planet! Inside the ice climbing wall there are routes from simple easy angled snow slopes through to challenging, thin ice/rock mixed climbing. Experienced winter climbers have the opportunity of pushing their grade, developing advanced techniques, or simply testing shiny new gear! Please be aware that our last instructed session starts at 3:30pm daily! * Prices are per person. All instructed prices include technical equipment hire. Ice Factor does not provide any clothing. The use of gloves is mandatory for the ice wall. Yes! The ice climbing arena holds nearly 400 tonnes of snow/ice. This is packed onto the wall, giving depths from a couple of centimeters to nearly a metre. The routes are all shaped by hand to give an authentic ice climbing experience. The temperature is controlled to keep the area below zero. We emulate the pattern of nature to recreate a ‘freeze/thaw’ cycle, this turns the snow to neve, hard packed, compressed snow suitable for climbing on. The range of routes ensures whether you are a total beginner or a regular mountaineer that you will be presented with a challenging and rewarding experience. Instruction, Coaching and Development are provided by Ice Factor Ltd.
To provide training and tuition to the public in relation to mountain sports, including mountaineering, ice climbing, rock climbing, hill walking and other affiliated mountain sports. I started climbing when I was at University when I was 18. I went down for fun to see what it was all about, from there on in it went from once to twice to 6 times a week. Leaving me poor and bank corrupt because I buy too much gear. I'm originally from Ayrshire but stay in Fort William now so I can focus totally on my climbing. I feel I've pushed certain facets of my climbing as far as I can considering I have only one hand so next for me is to move onto the Greater Ranges and my first trip to the Himalayas is in the pipeline. I work at the Ice Factor as they allow me to work part time and very kindly sponsor me which allows me more time to climb/train and with severe problems after my fall time is at a premium to achieve as many of my ambitions as possible. I also work there as I find the team great to work with. Hi. 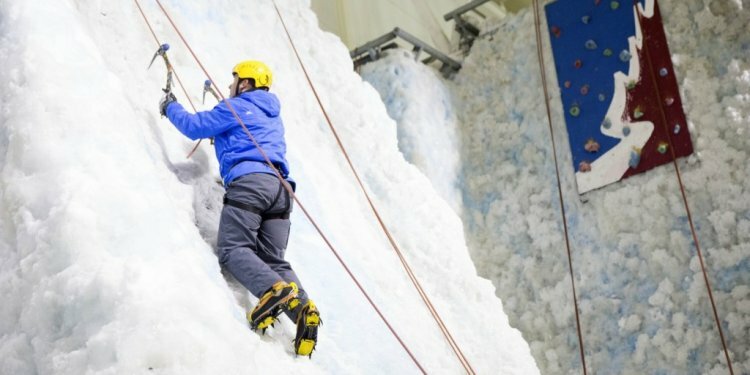 I am Pete, the Chief Instructor for the Ice Factor in Kinlochleven and the Snow Factor Ice Wall at Braehead. I escaped from my former life as a Special Needs teacher in 1999 by becoming a free-lance Outdoor Instructor and then spent 10 years as an Outward Bound Instructor in the Highlands before moving on to a series of senior instructor roles around Lochaber and Speyside.